The Sony-Ericsson Xperia X8 is a highly customizable budget phone released in September 2010. It features an innovative “four corners” menu interface and a number of other interesting features for its price class. If you own this phone and begin to notice a steady decrease in responsiveness, longer loading times and frequent error messages then it could be time to perform a hard reset. Resetting the Sony-Ericsson Xperia X8 to factory settings can be done in one of two ways, and this article will outline the details and reasons for each. 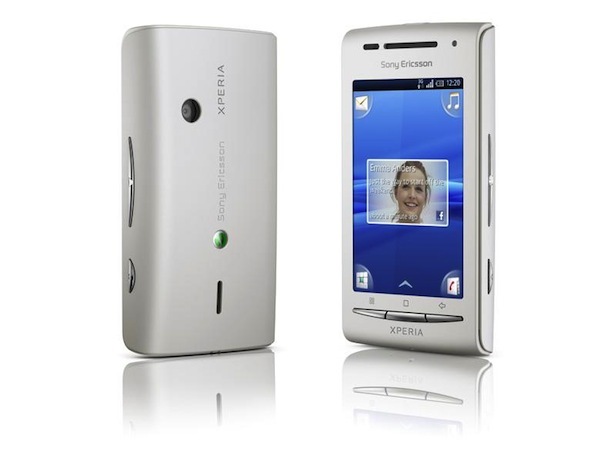 The Sony-Ericsson Xperia X8 is a sleek, affordable touchscreen smart phone intended for the everyday user. None of its internals are of awe-inspiring power or quality, but it has been praised as a generally reliable mobile phone with an intuitive interface. The capacitive touch screen is a step up from other touch screen phones of the same price class, but many reviewers noted trouble getting the screen to register their touches, often explaining that quite stubborn jabs were necessary in order to type messages. The phone comes with a 2 GB MicroSD card standard, with optional upgrades available up to 16 GB, which can be very useful for the reset procedure as it gives you an easy place to store your backup. Making a backup of your user data, photos, contacts, and third-party applications is vitally important before moving any further with the factory reset procedure. Since the phone comes with a MicroSD card, you can save your information to that card and then remove the card before continuing. If you also want to format the card, you’ll have to backup your information through another external device. Any information that is not backed up will be lost in the process, so be sure you have it all. Enter the Menu and enter the Settings folder. Tap on Privacy and enter Factory Data Reset. Tap on Reset Phone, enter your password (if required) and hit Erase Everything. Let the phone restart and you’re done. Start with the phone off and hold both the left and right buttons under the display. Press the Power key while the others are still held. Follow the on-screen instructions as the phone immediately begins the reset process.